Explore the history of Temecula on a walking tour of Old Town Temecula on Saturday, February 21st. Just a short drive from the new homes in Menifee at Audie Murphy Ranch, it’s a perfect morning adventure to start off the weekend with family and friends. The tour starts at the Temecula Valley Museum and takes guests through the Old Town to learn historic facts and learn about the city’s landmarks. 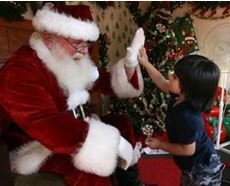 View event details at the Temecula Chamber of Commerce. 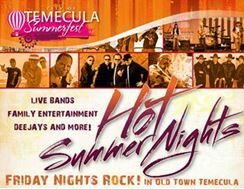 Enjoy a night of music and entertainment at Hot Summer Nights in Temecula on Friday, August 29th! Gather family and friends and enjoy an evening full of live music performed in parking lots, on patios and stages throughout Old Town Temecula. All family activities as well as concerts are free for the public. For more information, please visit eventstemecula.com.